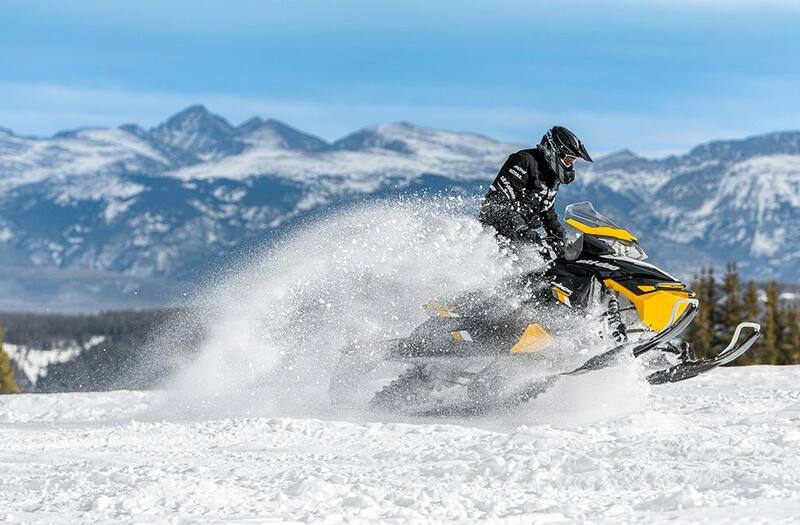 1970s Ski-Doo Blizzard race sleds were legendary for having the best technology and performance and we've used that same mindset in equipping the 2018 MXZ Blizzard for your rough trail adventures. rMotion™ with 15 x 129 x 1.25 in. 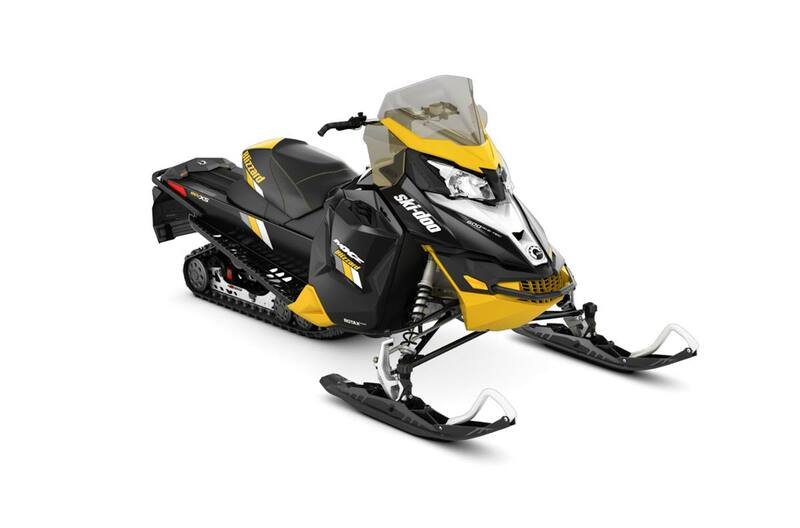 Ice Ripper XT: 129 inch (327 cm) length adds even more performance to the acclaimed rMotion™ rear suspension, without sacrificing any cornering ability. Includes carbide studs embedded in track lugs for added grip in icy conditions. Adjustable Pilot™ TS Skis: Radical concept enables the rider to literally dial in the amount of ski bite for conditions and riding style in seconds. A knob adjacent to the ski leg raises or lowers the ski runner – fully extended for very aggressive bite. There are 20 settings over a .5 in. / 12.5 mm range. Bore: 72 mm / 2.8 in. Stroke: 73 mm / 2.9 in. Vehicle overall length: 3,020 mm / 118.9 in. Track nominal length: 3,269 mm / 129 in. Riser block height: 115 mm / 4.5 in. Windshield: 375 mm / 15 in.